So I framed this man made hunk of metal and wire and framed it with natures best. I know who looks prettier. 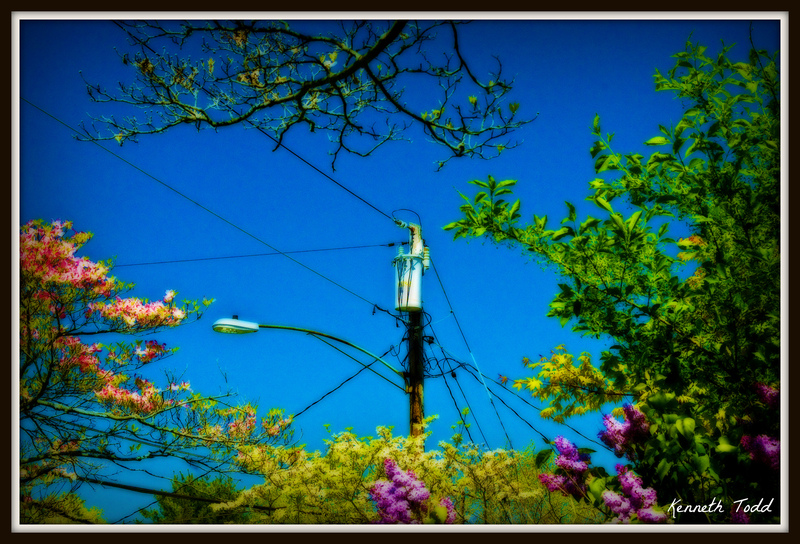 I also gave it a soft Orton effect, to help soften up the transformer. He is looking slightly better and I love the contrast between man made and nature. Such a paradox, isn’t it? I love the effect you put on it. We were without power last weekend for about 4 hours and I realized just how much we take for granted at times. Nice perspective with the contrast and what you had to say about it. I love all the different vibrant colors! !